Having an up to date backup can save you from many troubles. Using Magento I would suggest you to backup the entire site. You can use your hosting panel and create a compressed .zip of all your public folders. Perhaps this option will force you to download a couple of GB's of files and folders. Backup that folder wich contains all the product images. 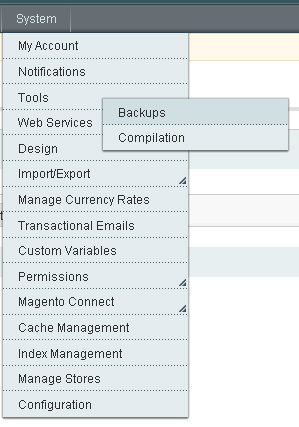 You can use the build-in feature to create a database backup from the Magento admin panel. Now you have to Create a Backup and then download it. 4.789.697 post views so far. This page needed 40 queries to load.